"The holidays can be stressful and your skin can look a bit lackluster before your big holiday event," says Rick DiCecca, global makeup artist for Artistry by Amway. Consider applying an illuminating face moisturizer before putting on your makeup or a mask the night before your event to achieve a luminous glow, he suggests. 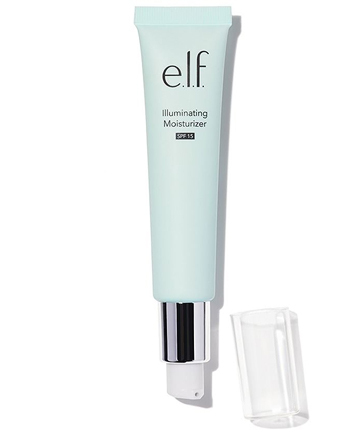 To keep your skin looking luminous sans makeup, apply E.L.F. Illuminating Moisturizer SPF 15, $8, to achieve a soft and natural shine.